Looking for Syphon Tubes? Then contact must at the earliest as we can offer great deals on the same. 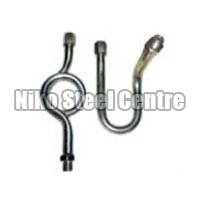 Positioned in the market as trusted Steel Syphon Tube Suppliers, we bring forth the superior qualityÂ Syphon TubesÂ for the clients. Syphon Tubes, offered by us, is connected between the pressure gauge & process. The Syphon Tubes are used in applications where high temperature vapors or fluids are present or temperature is above 65 Deg C for e.g. steam. These Syphon Tubes act as a cooling coil and protect the gauge from high temperature vapors. 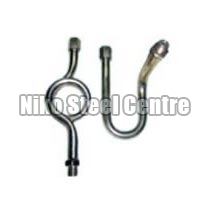 We can be contacted to avail various types of Stainless Steel Tube Fittings such as Syphon Tubes at competitive rates.